Fall has arrived and so has this quarters installment of the "Great Product Swap". This time around I was paired with the super talented, super funny teacher Shuna from Pocket Full of Kinders. I selected three centers from the packet to start. The first was the playdoh mats. My dear sweet co-teacher and fabulous friend is not a fan of playdoh...and since the room is carpeted the custodian is likely not a fan either, lol. 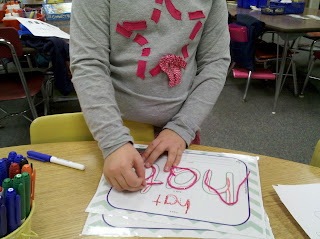 Guess what...that was A-OK because the kids loved using the wiki sticks to make their "At" words. 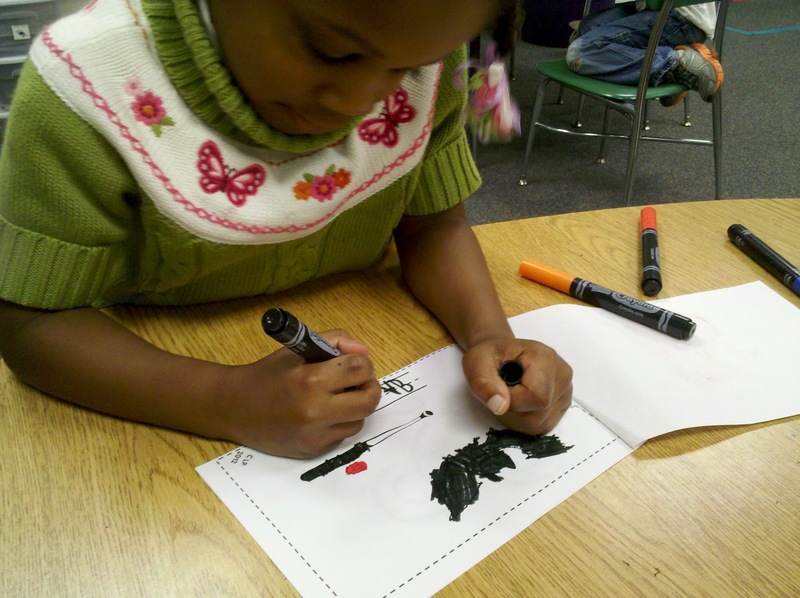 They also love using the wipe off markers....funny the things that motivate kids (besides the appealing teaching activities of course). 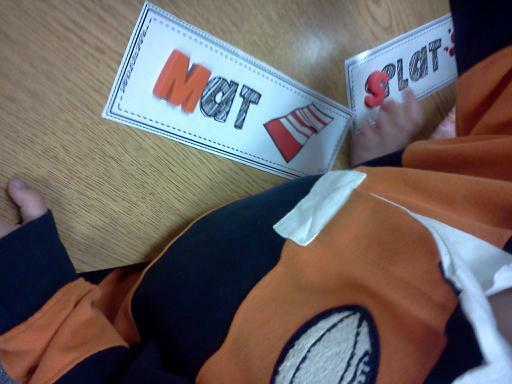 Next we used the word cards with magnetic letters. 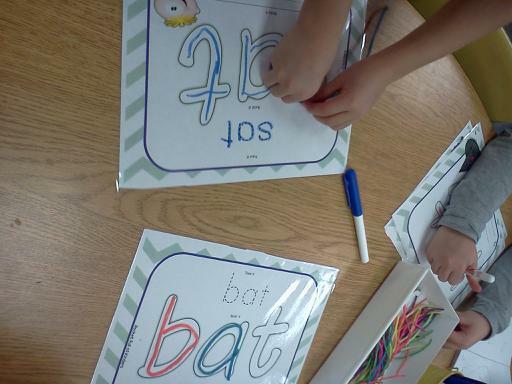 The kiddo's found the missing beginning sound letter or matched the letter depending on their ability level. And for their 3rd center they did the "At" Family take-home book. 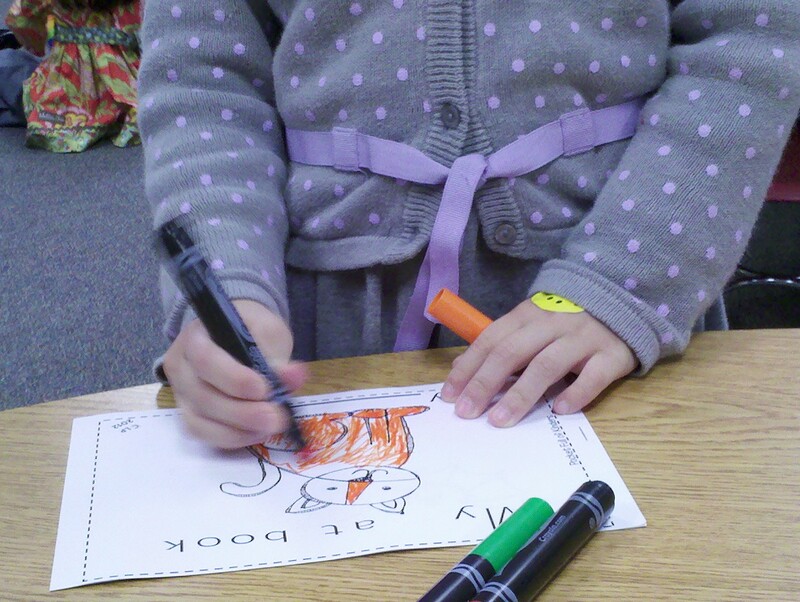 The kiddo's colored and filled in the missing "At"word. And there was SOOOOO much more! It has enough activities for at least two weeks or more!! So guess what? Shuna is having a sale on this great packet! You can visit her TpT store and snag a copy. While you are there check out all of her other great items. I also love her Chicka Boom Playdoh Mats . She has 75 items in her store so you are sure to find something to fit your kiddo's needs....and they will LOVE it!! 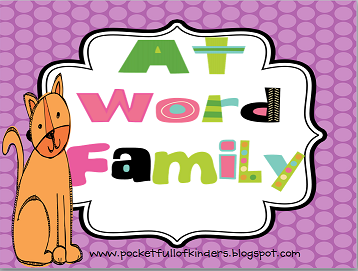 OK,now for the best news...... Shuna said I can give away one copy of her 'At' word pack! And I am throwing in a copy of my September Kindergarten Common Core Homework Packet as well. Just follow the directions below and you will be entered to win!! Now head on over to Pocket Full of Kinders to see her review of my products. Stop back tomorrow! I have a brand new clip art set and I am giving away a copy of this to all of my followers!! Here's a sneak peek!! This packet would be great in small group centers! I would also use some of the activities for intervention groups! Wow Shuna's packet is awesome!! Thanks for joining for the swap :) I hope you'll sign up for the next! I would use this packet during small group/center time. I would use this for word work or a center. I commented before I click the button telling me to share how I would use the products. I would definitely use them in stations but also in small group. I would most definitely use these activities in my literacy stations!! I have Shuna's individual word walls that I put together this summer. My students are already great writers thanks in part to each folder full of words from each letter of the alphabet. LOVELY!! !